If there’s one thing Telltale Games has become famous for, it’s telling new and interesting stories in familiar universes. Which got us thinking: What IP should Telltale work its magic on next? While the Back to the Future and Jurrasic Park Telltale games weren’t as well received by critics and fans as some of their more recent work, the team has been on a roll these past few years with games set in world of The Walking Dead, the Fables comic book series (Wolf Among Us), Game of Thrones and Borderlands. Combining standard adventure game tropes with some creative ideas (like decisions that have lasting effects), Telltale has built a catalog of episodic games that breathe new life into characters and worlds we already know and love. Here’s a list of seven properties we’d like to see them tackle next. I know! Rad idea, right? Since Konami may or may not be done making AAA games and they already ripped my heart out by breaking up the dream team of Hideo Kojima and Guillarmo del Toro with the cancellation of the ill-fated Silent Hills project, loaning out the license to a third party like Telltale may be the only way we ever get to see a new game in the series. Probably the best possible version of that scenario would be for Telltale to get their hands on those fog-covered streets and craft something truly magnificent. The Silent Hill games have always been more about psychological scares than fast-paced monster-slaying action, which would feel right at home plugged into the Telltale formula. Mix that with some environmental puzzles, a cast of troubled characters and choices that lead to some terrifying conclusion and you have the skeleton for what could evolve into a new horror classic. As mentioned above, Telltale is great at picking an unexplored portion of a well-known universe and finding some meaty stories to tell within it. It’s something they’re currently doing with the epic Game of Thrones book series and, if there’s a single game series that matches George R.R. Martin’s creation in terms of depth and scope, its Mass Effect. The beloved space opera is already overflowing with narrative, but there are still dozens of conflicts great and small that are only hinted at in the series proper. It would be cool to see Telltale flesh out one of those story beats with a new cast of characters, complete with romance options and the lasting decisions that both series are now famous for. Forgotten Realms, the setting of Sword Coast Legends, Neverwinter and the Baldur's Gate games, would be a great world for a Telltale Games. There's so much history to drawn on from that setting and so many great locations. While I would usually want to see Telltale do something unexpected with a property, what I would want most out of a D&D game from that particular studio is all of the swords, sorcery, orcs, potions and critical hits I’ve been a fan of for so many years. If they could figure out a way to incorporate the ideas and mechanics of the pen and paper version of D&D into a video game, that would be even cooler. You could swap out Forgotten Realms with any setting from Dungeons & Dragons, though. So long as Telltale’s take on the legendary franchise includes 1) Dungeons and 2) Dragons, it could be a great game. I’ve been saying for a number of years now that I would like to see the Assassin’s Creed series take a breather. Nothing would serve this annualized series better than to spend a few years in the oven with the story, mechanics and everything else receiving a much-needed overhaul. In the meantime, I would be all for an Assassin’s Creed story from Telltale filling the void, proving a breath of fresh air to a series that’s starting to grow stale. Like most of the games on this list, there’s a lot of wiggle room to work with in terms of story. Telltale could focus on a branch of an existing storyline or they could weave a brand new yarn about a freedom fighter and a conflict that the series proper hasn’t touched on yet. The war for Mexican independence from Spain could provide some rich narrative fodder, as would the Chinese Three Kingdoms era. This one may have caught you off guard, which is why it fits so perfectly on this list. Need for Speed has never been known for its story, which could also be said for just about any racing game. 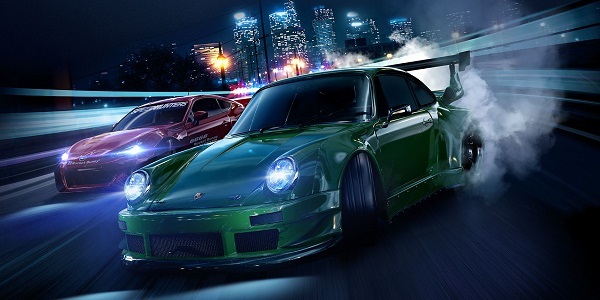 But what would a Telltale game set within the world of street racing look like? How would they handle the driving portions of the game? What interesting things could they do with a series to make us care about the people behind the wheel? As much as I would like to see Telltale take on a game series as obvious as Mass Effect or Assassin’s Creed, I’d be equally excited to see the team really flex its creative muscles with a series like Need for Speed, one where they don’t have much pre-existing content on the narrative end of the spectrum to work with, thus giving them complete freedom to just create. We’ve included Mortal Kombat on this list for a mixture of reasons mentioned above. Unlike most other fighting games, the Mortal Kombat series has always had a stronger focus on lore, which got a healthy reboot courtesy of the two most recent games in the series. It’s always fun to see Telltale work with more mature themes, and Mortal Kombat is certainly a setting where they could have some fun in that regard. Whether focusing on the old cast or those new characters from Mortal Kombat X that we’re just getting to know, it would also be fun to see how the team incorporates the series’ brutal brand of fighting and fatalities. It’s been a long time since the last decent Sonic the Hedgehog game was released, leaving many to wonder if the speedy ball of blue fuzz is doomed to fade into gaming history as a once-great legend. If anyone can do something fun with Sonic and his unique cast of friends, it’s the team at Telltale. Similar to Need for Speed, it would be interesting to see how the developer incorporates Sonic’s trademark speed into one of their games, complete with a story that might actually make us care about what’s going on between those breakneck dashes across the rolling landscape. If they can make a compelling Minecraft adventure, Telltale has got to be able to do something worthwhile with Sonic too.